As I looked outside the window last night, the setting sun caught my eye. Shades of pink covered the evening sky and lights twinkled from streetlights. It was a beautiful sight to behold. A few hours later, all light had disappeared and the night took over. Light shone from windows, cars and streetlights. 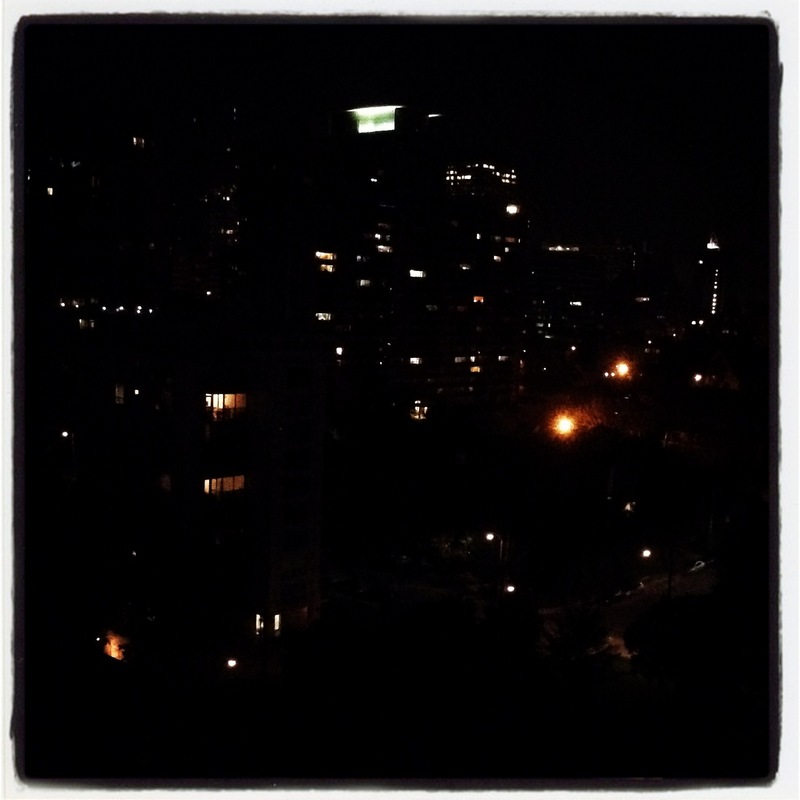 As nighttime descended, the pace of the city slowed down. But as one knows, a city never sleeps. However I do, and I enjoyed a good night’s rest. Do you often manage to see the sun setting? Thank you. I feel that I can never get enough of sunsets. And they are, as you say, each day unique. Great pics!! Thank you for sharing them ! I agree. Often we don’t notice it and yesterday when I saw it through the window, I just had to go out and look. 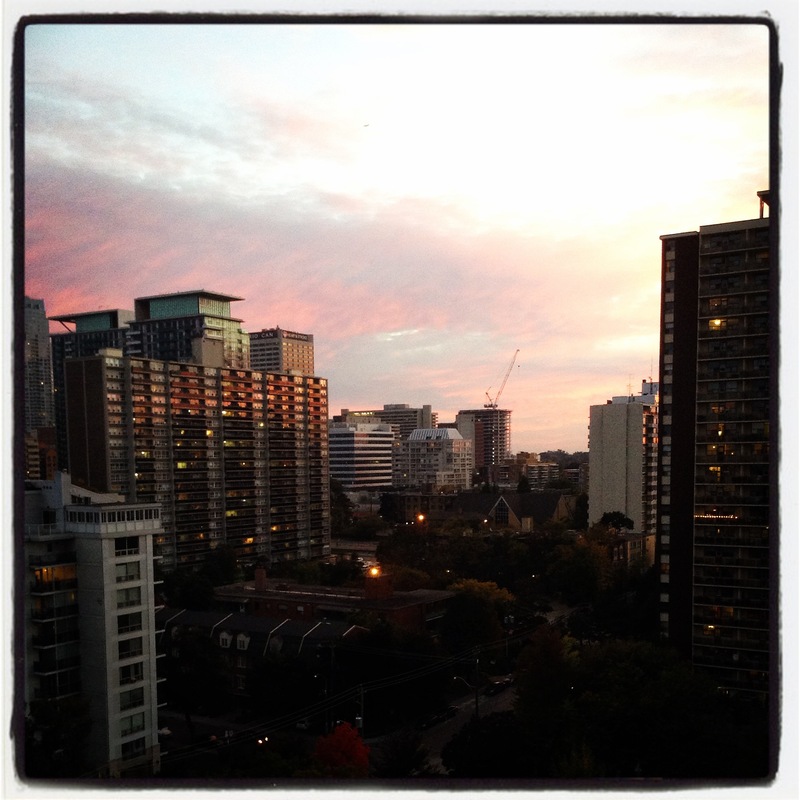 Beautiful sunset photos, Colline! The nighttime shot is great! That is a beautiful, very relaxing sunset. A perfect ending to an exciting busy day at the city and a beginning entry to the many city adventures! Thank you Scrapy. I saw it at just the right moment in order to capture it. We do not manage to catch the sunset everyday – which made it even more special to see. We had pink Cotten candy clouds last week. Fun! Sunsets are my favorite time of the day, especially where I live now. 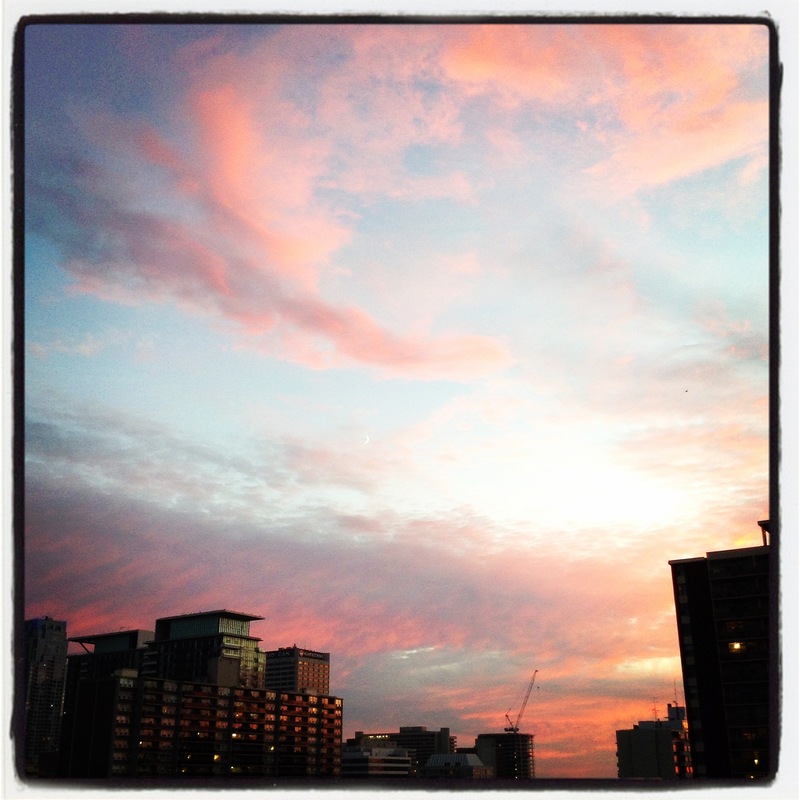 Your photos are wonderful; I agree with the “cotton candy clouds” description that Carol wrote! Your twilight pics Colline, remind me of my nights overlooking beautiful Santiago Chile, the setting sun with the snow capped Andes as a backdrop. Theirs something beautiful watching the aura of a city closing down for the night. What a beautiful sight that Chilean view must have been Ian.